Method: 1. 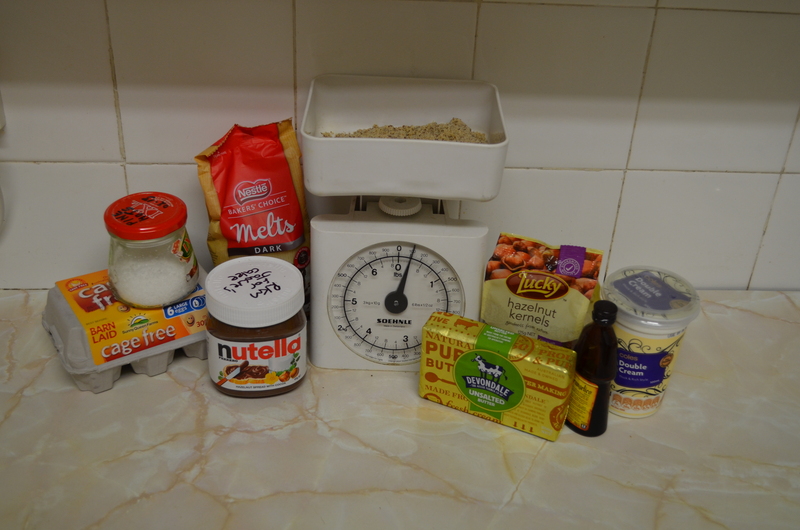 Preheat oven to 180ºC 2. Whisk egg whites and salt in a large bowl until soft peaks form. In another bowl, beat the butter and nutella together (this takes some elbow grease, so make sure your butter isn’t too cold), then mix in the the egg yolks and hazelnut meal and finally the Frangelico. 3. Add the cooled melted chocolate and fold through, before adding a dollop of egg white and mixing until combined. Fold in the rest of the egg white mixture gently, a third at a time. 4. Pour the mixture into a greased and lined 23cm round springform tin and cook for about 40 minutes or until risen slightly and beginning to come away from the sides of the tin. Cool on a rack, leaving in the tin. 5. Toast the hazelnuts in a dry frying pan over medium-high heat until golden brown. Make sure you keep shaking the pan to achieve an even colour and avoid burning one side. 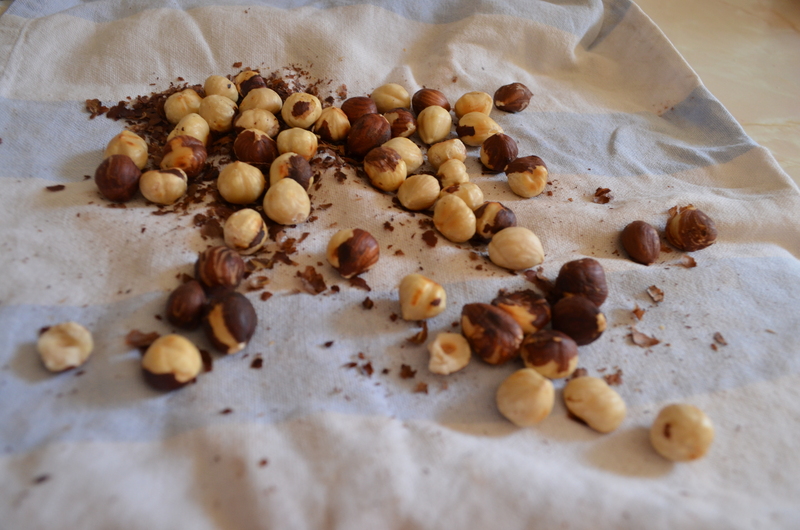 If there are still skins on your hazelnuts after toasting, place them, still warm, onto a slightly damp tablecloth fold, rubbing until the skins come away (this can take a number of minutes, especially depending on how finicky you are about getting all the skin off). Cool on a plate. 6. To make the ganache icing, place the double cream, frangelico and chocolate into a saucepan. Heat gently until the chocolate has melted, then remove from the heat. Whisk mixture until it has thickened enough to ice the top of the cake (again, this takes some time). 7. 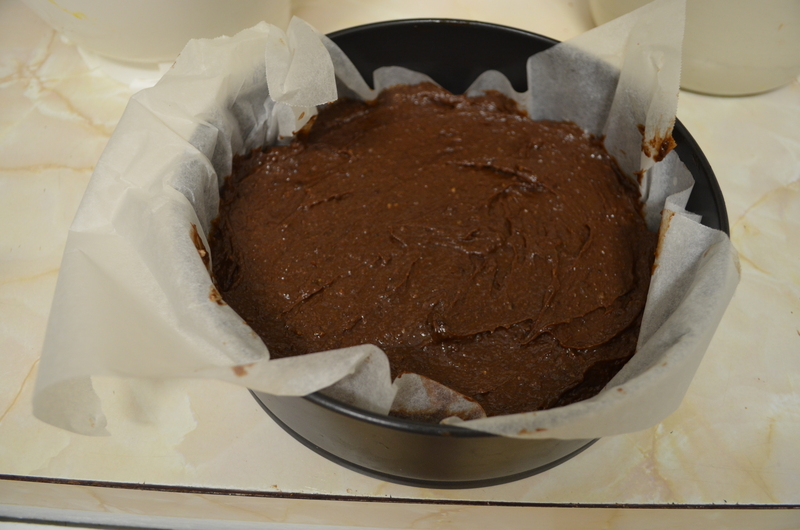 Carefully remove the sides of the tin, leaving the cake on the base. 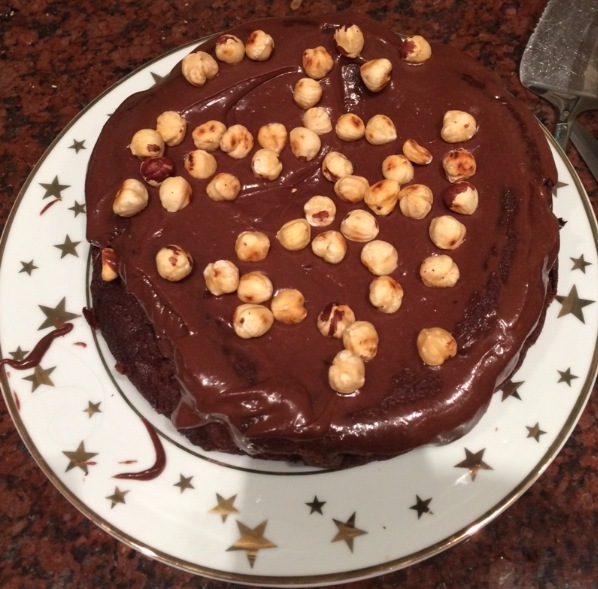 Ice generously with your chocolate icing and cover with the cooled whole hazelnuts. 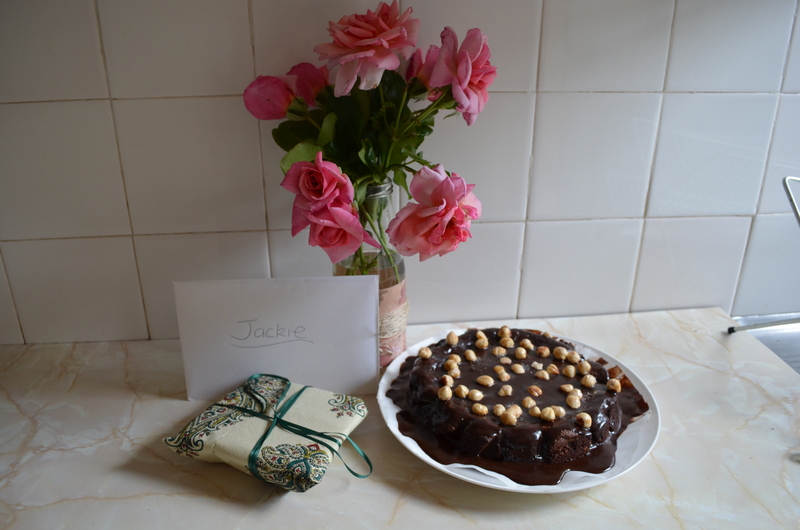 I added some food safe gold shimmer to mine as it was a special occasion, but the cake looks great as Nigella created it. 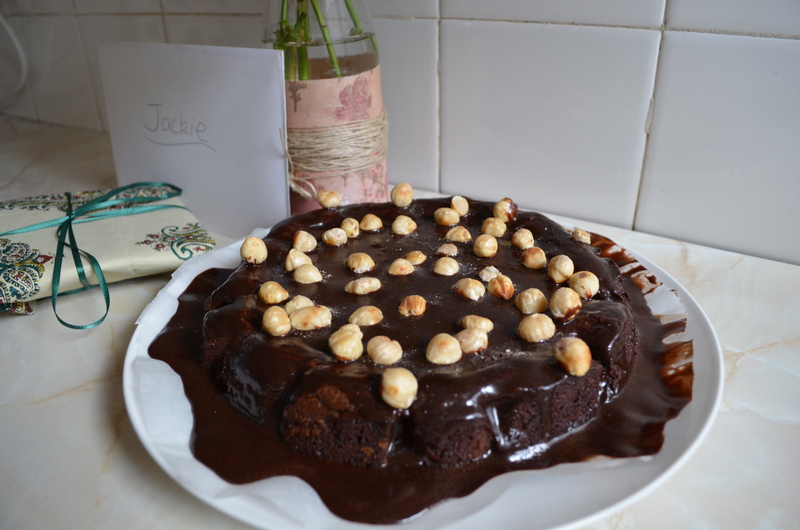 The picture of Jackie’s cake shows what happens when your egg whites have some yolk in them- they still went stiff but the consistency was a bit off- hence the slightly sunken look. The end cake should serve at least 6-8 people, it’s very rich and dense, so each person only needs a sliver! The birthday cake sunk a bit because I had trouble with the egg white/yolk separation. For some reason I’d thought that starting to make it at 12am was realistic. But the first version rose as it should have!